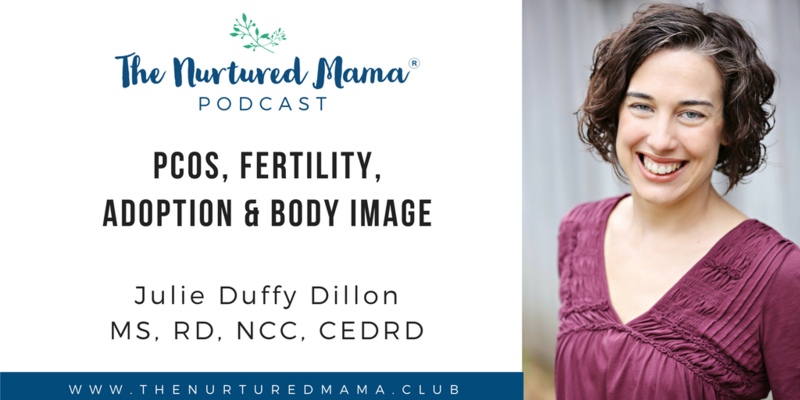 Julie Duffy Dillon is a Registered Dietitian, Eating Disorder Specialist, and Food Behavior Expert partnering with people on their Food Peace journey. She is trained as a mental health counselor and supervises dietitians and other health professionals to use weight inclusive and attuned eating strategies. She owns central North Carolina’s group nutrition private practice and premier source of eating disorder treatment and prevention, BirdHouse Nutrition Therapy. Julie also produces and hosts the weekly podcast, Love Food. Learn more at JulieDillonRD.com. 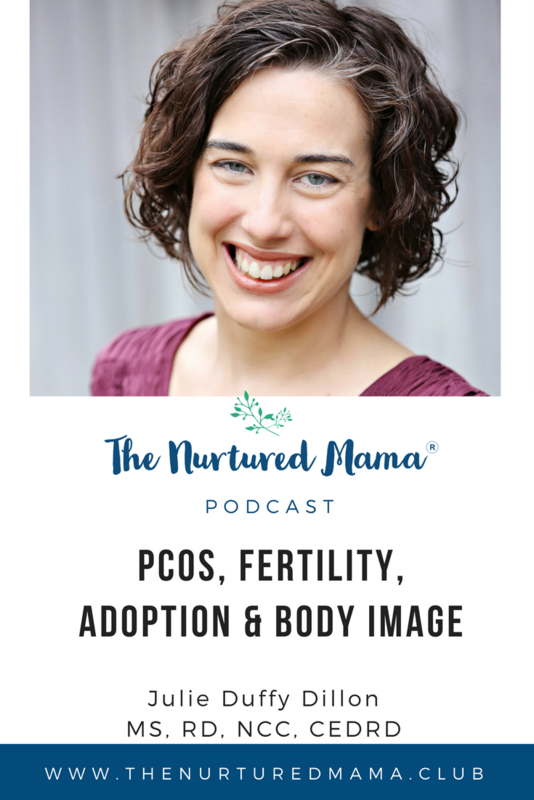 Julie opens up the episode sharing some of her experiences leading up to becoming pregnant, including loss and infertility struggles, and the challenges of caring for a newborn. 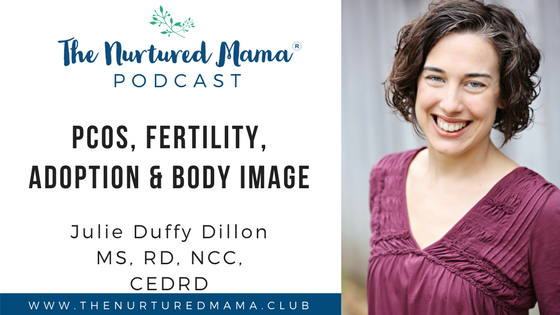 She talks about her experience after childbirth and she openly shares about what she truly wanted during that time and that was to make a connection with other people. She opens up about how appearance focused comments from others made her feel during that time as a woman, mother, and body positive activist and how invalidating and intrusive this can feel – especially during that time. She also shares her experiences with comments from others after adopting her son. 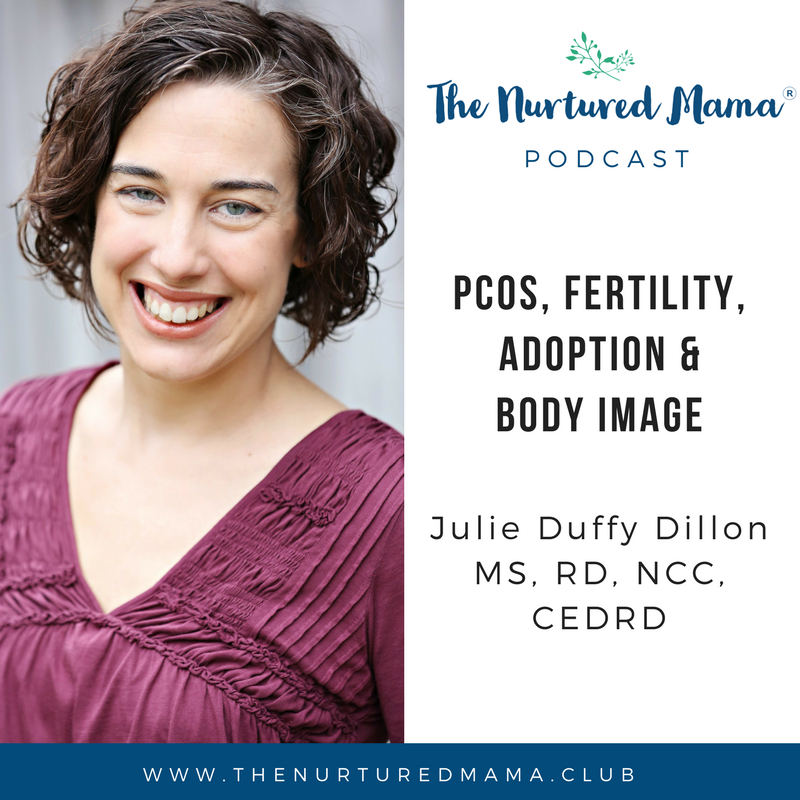 An expert in PCOS, Julie explains what women with PCOS often face when they seek treatment – dieting and weight loss recommendations – and how these recommendations not only make PCOS symptoms worse but can increase disordered eating and risk for developing an eating disorder. Julie also discussed the relation between cravings and PCOS. She elaborately explains the mechanism behind our cravings and how it correlates to sleep deprivation, insulin production, or even doing extreme exercises that can lead to carbohydrate cravings.